Students are required to complete this application on their own. Adult supervision is encouraged. T-shirt size: S M L XL XXL Male adult sizes. How did you hear about the Building Leaders for Advancing Science and Technology? Grade Report: You must upload a copy of your grade report, report card or transcript. Helpful Suggestion: If you have a copy of a document that is not in an electronic format, you will need to scan and save the document. With some operating systems, you can save that file as (Save As) a .PDF file. If you do not have that capability, there are several free online programs to allow you to convert the file to a .PDF document. Your school guidance office or computer lab should have a scanner that you may use. Another option is to go to your local library or an office supply store, and they usually offer scanning services for a small fee. If you have problems, ask your teacher or school office for help. As part of your application packet you are required to provide one letter of recommendation from a teacher, school administrator or someone who can attest to your academic qualifications. Once you have submitted your application, the system will email this person instructions on how to submit an on-line letter of recommendation on your behalf. Please inform them that they will be receiving an email from notices@spacegrant.net with these instructions. Note: It is the responsibility of the student to follow up with the person who is providing a letter of recommendation as many times as necessary to ensure the recommendation is submitted electronically by the Tuesday, February 12, 2019 deadline. You will receive an email indicating the recommendation has been submitted. Explain why you wish to participate in the BLAST program and how participating would impact your life. Describe yourself to us --your interest in science, technology, engineering and math (STEM). Tell us about STEM courses or any other courses you have taken that have interested you and why. Describe your academic strengths and interests and personal characteristics. What kind of extra-curricular activities or hobbies have you engaged in related or un-related to STEM? Be sure to address each item of the essay. Note: This essay is a critical component in the selection processs. It is your chance to present yourself to the selection panel. Answer these questions completely. Contingent on available funding, Virginia Space Grant Consortium may be able to add an aviation focused BLAST session at Liberty University on June 25-28, 2019. If this session is offered, would you be interested in attending this session instead of the current BLAST session you selected. Students are strongly encouraged to provide the information requested below. This information is collected for federal reporting purposes only and is not accessible to the program's selection panel. The responses submitted on this application are true, complete, and correct to the best of my knowledge and belief and are made in good faith. I understand that a knowing and willful false statement on this application will forfeit my participation in the project. Students will be selected for the summer session experience based on the following criteria: completion of application by the deadline, essay content, recommendation letter, and minimum grade average of at least a C+, and students who have not had access to STEM enrichment activities. Efforts will also be made to ensure geographic and demographic diversity of selected participants as well as reaching students who have not had access to STEM enrichment activities. 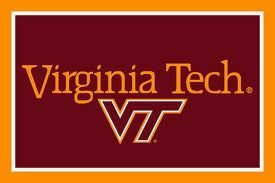 Should I be selected for the summer experience, I will be available to attend one of these sessions: Session 1 is June 16-19 at Virginia Tech, Session 2 is June 23-26 at Old Dominion University, Session 3 is July 7-10 at Virginia Tech, and Session 4 is July 28-31 at University of Virginia. I understand that my child must stay for the entirety of the program for the session he/she selects. If I participate in BLAST, project representatives will contact me to up to six years beyond my participation to learn of my college and career plans. This will be done via email, mail, or phone. This information will be used to assist project representative in determining the impact of the project. I understand my personally identifiable information will not be disclosed. I acknowledge that there is extensive walking for each session and that I understand that I could be walking at least 3 -- 5 miles per day. I understand personally identifiable information will not be disclosed. I give permission for my student to submit the Building Leaders for Advancing Science and Technology application and participate in the summer experience if selected. The submission of this application is voluntary and I have reviewed and approved my child's responses. The responses submitted on this application are true, complete, and correct to the best of my knowledge and belief and are made in good faith. I understand that a knowing and willful false statement on this application will forfeit my child's participation in the project. Should my child be selected for the summer experience, she/he will be available to participate in one of the following sessions: Session 1 is June 16-19 at Virginia Tech, Session 2 is June 23-26 at Old Dominion University, Session 3 is July 7-10 at Virginia Tech, and Session 4 is July 28-31 at University of Virginia. If my child participates, project representatives will contact my child up to six years beyond participation to learn of his or her college and career plans. This will be done via email, mail or phone. This information will be used to assist project representatives in determining the impact of the project. I understand personally identifiable information will not be disclosed. Should my child be selected for the summer experience, I understand check-in is from 3-4 p.m. and check-out is from 8:30 -- 9:30 a.m. and that I must provide transportation to and from the University check-in and check-out. An email will be sent to the student and parent/legal guardian's email, confirming the student's application .